To approach the Sefton leave Douglas via Loch Promenade and continue towards Broadway where the Sefton Hotel and suites will be observed in a prime location on the left hand side. Sealed unit double glazed windows to front elevation with panoramic views over Douglas Bay. Series of wall lights and downlighters. Wooden laminate flooring. Integrated fridge freezer. Series of storage cupboards. Concealed cupboard housing electric hob and stainless steel single drainer sink unit with mixer tap. Microwave. Series of shelves. Bin store. Windows to one elevation. Series of downlighters. Coved ceiling. Full height double fitted wardrobe with hanging space and drawers. Separate cupboard with hanging space, storage space and safe. Fitted with a six piece suite comprising jacuzzi corner bath with mixer tap, walk-in shower with rain shower, twin surface mounted wash hand basins, bidet and wall mounted W.C. Vanity mirror with light. Shaver point. Integrated television and speaker system. Fully tiled walls. Tiled floor. Heated towel rail. Telephone point. Each suite is being offered with the benefit of a 999-year long-term lease. A ground rent is applicable being £100 per annum exclusive. A service charge is applicable in relation to the communal and shared elements of the building. Further details (inclusive of a service charge schedule) can be obtained from the selling agents, Black Grace Cowley Ltd please contact Tim Groves for further details. A full schedule of the discretionary and bespoke services that the Sefton Hotel Group can provide is available at the offices of Black Grace Cowley Ltd please contact Tim Groves for further details. They would include, Concierge, Health Club & Spa, Fine Dining (inclusive of Sir Normans Bar & Grill), Laundry and Linen / Housekeeping, Discounted Hotel rates via our Friends and Family Scheme’ Function/Meeting room booking service and On-site secure car parking. A bespoke and tailored service can be agreed to meet your own lifestyle choices at discounted rates*. 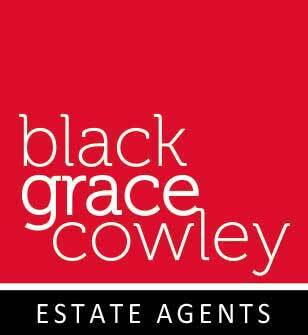 Please enquire with the Agents, Black Grace Cowley, for further information. *Terms and conditions apply. The William Hoggatt Suite at the Sefton Hotel offers the discerning purchaser the chance to enjoy luxurious living in a superb central location enjoying panoramic views across Douglas Bay with the added value of a bespoke and tailor-made discretionary managed lifestyle service provided by the Hotel to include fine dining, spa and health club, concierge and laundry facilities. Each private suite has been designed with luxury at its heart, providing Entrance Hall, open-plan Living Room with Kitchenette and Dining Area, Master Bedroom and sumptuously installed Bathroom. The suites are separately metered for all services and benefit from digital door entry systems and state of the art security access systems. In addition, and in keeping with the Isle of Mans rich heritage, each suite has been given a theme, which has enabled the Sefton Hotel to design the fixtures, fittings and furnishings on an individual basis.